1. 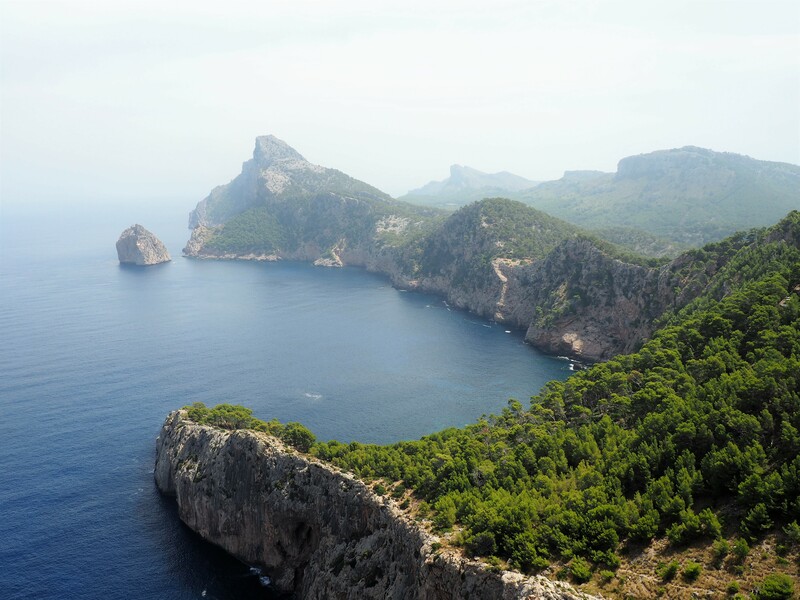 Breathtaking views over the island’s most northerly viewpoint, Cap de Formentor. After driving up the winding mountain roads this view of the rugged tip of the island jutting out into the deep blue sea is just incredible. 2. 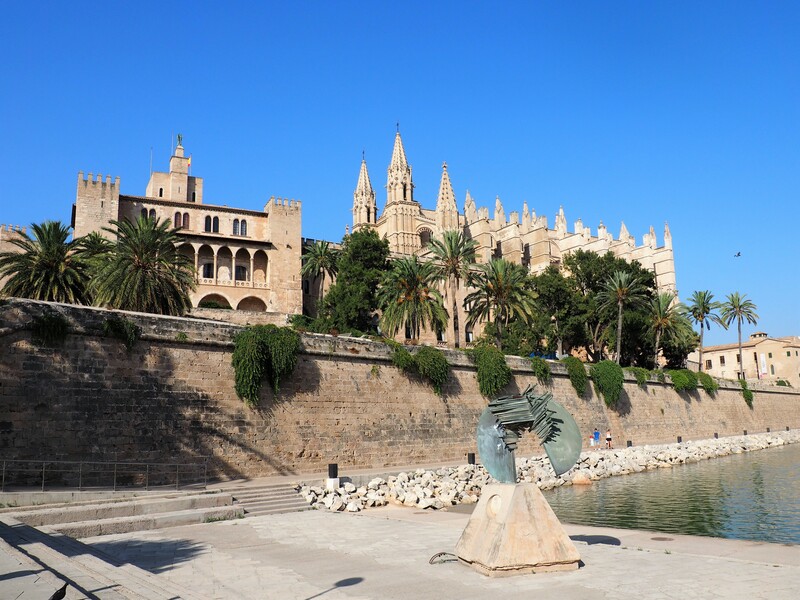 The bustling capital of Palma with its cafes, designer shops and gothic cathedral. We didn’t have long here (as most of our days were filled with relaxing by the pool) but Palma is a city that I would love to return to to explore some more. Even Mr Ayla commented on how it was the perfect place for the city girl in me! 3. 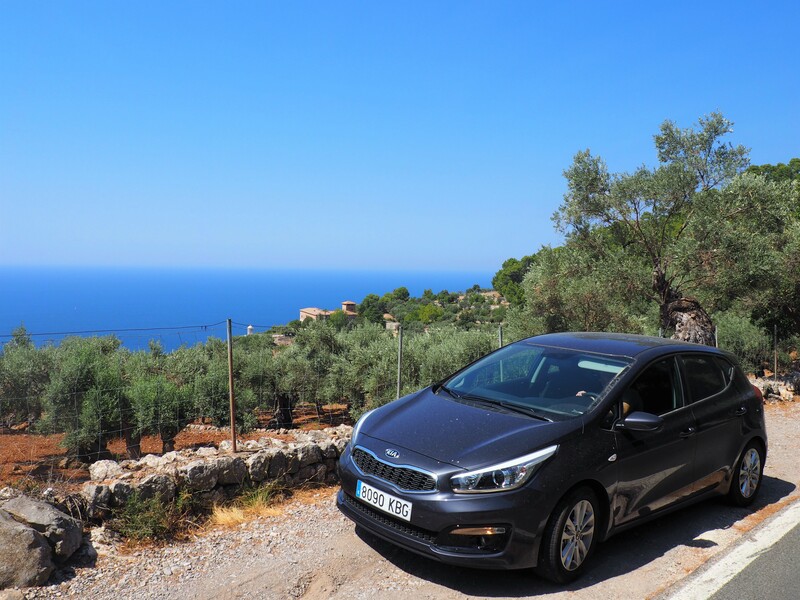 The stunning drive along the winding coastal roads of the Serra de Tramuntana mountain range, a World Heritage Site where the mountains meet the ocean. It reminded us of the drive along the Big Sur which is one of our favourite ever road trips. 4. 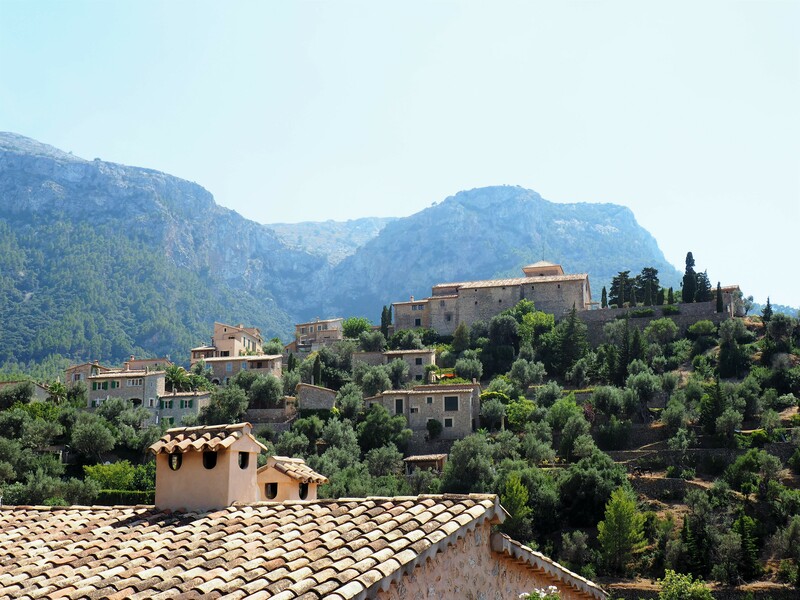 Pretty little mountain villages like Deia and Valldemossa which are nestled along the west coast of the island in the Serra de Tramuntana. The towns are tiny but seriously couldn’t get any cuter. 6. Small traditional rural towns nestled in the centre of the island surrounded by the lush countryside. Each of these towns had narrow cobbled streets lined with brick buildings with cute green shutters; a small and pretty main square adorned with an old church; and cosy cafes full of locals – not tourists (woo!). These are the traditional places that I love finding and make it so worthwhile exploring off the beaten path. Our favourite town was Sineu, which just happened to be the town closest to where we were staying, and we loved this part of the island so much that I’ll be writing another post about it soon! 7. 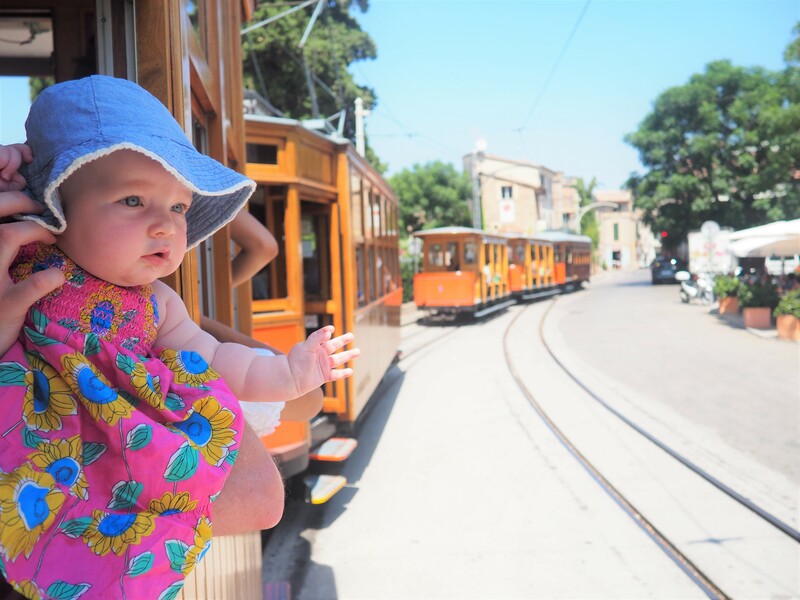 A vintage train and tram ride through stunning scenery and coastline. The vintage train from Palma to Soller takes an hour each way, travelling through the lush countryside. The tram is a lot quicker but still just as beautiful with a 20 minute ride from Soller to the gorgeous Port de Soller. Full of plush yachts and lined with palm trees and harbour side cafes, Port de Soller is a lovely little town and I would have loved to have spent a bit longer here. 8. It’s has something for everyone. The island really does cater to all types of travellers – romantic views for the couples, heavenly beaches for the sun seekers, hiking and cycling trails for the active, party towns for the groups of friends, and great accommodations and friendly locals for the families. We spent a week here and enjoyed both exploring as well as the relaxing side of island life but it just wasn’t long enough to satisfy the love that I very quickly felt for this place. I’m a big fan of Mallorca too! PS: Love that turquoise dress! I loved your pics of Menorca too! Clearly the Baleriac Islands are a lot more wonderful than I expected them to be! Even thought we did a fair bit of exploring I still felt there was so much more we could have seen. Even though it’s a tiny island there’s so much beauty to see! wish i could go there tomorrow… great post! I’d like to go back tomorrow too! I’ve never been but have always wanted to visit here and Menora. I absolutely love Mallorca’s coastline and that turquoise water! The drive must’ve been breathtaking girl! This looks like heaven Ayla!! It’s such a gorgeous place! Mallorca is a truly picturesque destination, Ayla! When’s the best time of the year to travel there? Haha glad you agree! Hope you end up going back. October will be a lovely time too. Enjoy! Ok, I can confirm Majorca looks totally different through the club med lens!! Can’t believe I was missing out on all this beauty all those years ago because I was too busy dancing in cheesy clubs! That water is so pretty & the streets just look so peaceful & relaxed! Haha I know! So different to what I expected it to be like too. It’s such a beautiful island and I could easily have stayed for a lot longer to explore some more of those cute towns and pretty streets. So glad you felt the same! Yes I would feel like that about the canaries too I think but some parts look so beautiful! I had the most lovely time in Mallorca. sun was so warm, beach is so clean and clear.